Let us at PCS Debt Relief prove to you that we are a leading agency for repairing your credit, offering exceptional services, responsiveness and solutions. Our advisors are here to guide you through debt to recovery and keep you involved every step of the way. PCS Debt Relief offers the best in debt management, debt relief, debt settlements, credit restoration and repair, plus credit building programs. Don’t trust just any debt relief agency to help in repairing your credit. We have a staffed team of experienced advisors, who offer relief in consumer debt, business debt and credit card debt. Our highly trusted advisors can assist you in getting your financial life back on track with credit and debt recovery. In order to repair your credit you must order credit reports, examine your reports carefully, dispute and document, solve and dissolve debt and add stability to your credit file. When you have examined your reports you may stumble across an error or two, it could be anything as simple as a typo. You must be meticulous when cleaning up your credit report. Reaching out to a debt analyst to help assist you in reading your credit report is smart and sound decision. An agent at PCS Debt Relief will help educate you when writing documents to dispute your debt. Always keep all your documents when disputing your debt. With the help of a top financial and debt analyst you will be given the tools to help manage your money and a plan to help clear and repair your existing debt. This education is giving to you without out up-front cost or a set monthly payment to PCS Debt Relief. Don’t hesitate any longer when it comes to repairing your credit. Your future credit score depends on it. The tools you need to recovery can be found at the most trusted debt relief agency. Please, do yourself a favor and schedule a debt consultation where we can better educate you in the process of understanding your financial well-being. Our education starts with a full introduction into debt settlement. Each advisor is well educated and experienced, they are here to train you on raising your credit scores, teaching you about debt settlement and your alternatives to bankruptcy. We direct our full attention to each client, to better understand how to help. 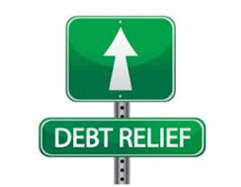 PCS Debt Relief wants to instill a high success rate of debt recovery into each and every one of our clients.